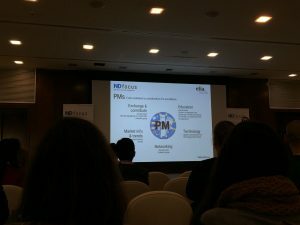 As a PM (Project Manager) attending this year’s ND Focus in Prague, I can say that it has turned out to be a very valuable and highly interesting experience. I have brought home many takeaways not only from the different expert presentations, but also from the workshops. 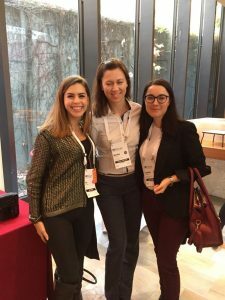 The Elia’s focus event on Project Management made us feel the importance of our role within the industry and unveiled the future work prospects of PMs who move to other positions. Furthermore, the workshops let us interact with other PMs and discuss potential issues we encounter on a daily basis related to terminology management, client’s expectations, internal organisation, technology shortcomings, etc. Hélène Pielmeier, the Director of Industry Providers Service at Common Sense Advisory, a market research company, cast light on the industry trends and defined very precisely the basis of a good project management, and how a translation company evolution should be like from the very first disorganised stage to the most mature one. All PMs have to encourage our companies to expand the technology portfolio and reconsider the boundaries of our role, which can extremely vary depending on the company’s structure. She also made us aware of the fact that artificial intelligence will have a say in the future and that project size has worldwide decreased. Martiño Prada, the Localization Manager at GoPro, shared his insights from the client’s perspective highlighting the need for a communicative, honest and transparent business relationship. Due to his background as a PM, he can easily spot the areas of improvement and stressed the importance of considering end users when addressing a translation. He revealed that client retention results from a successful technology integration and automation and believes that today’s agencies should by all means work with a TMS. And last but not least, the Attached team walked us through the operational excellence from their own experience. When we aim to achieve a major change or goal, baby steps are required especially if we belong to a small agency (according to the market data obtained by Common Sense Advisory 59% of LSPs have from 2-5 employees).